How Many Nissan GT-Rs Have Been Sold So Far? Still not ready to retire. The Nissan GT-R still has some life left in it, and the most recent sales numbers are actually pretty encouraging. Despite an average of just 55 GT-Rs being sold monthly for the past six years, The Truth About Cars has pointed out something interesting. This past January Nissan USA reported a total of 101 GT-Rs sold in that month alone. A total of 1,436 GT-Rs were sold in 2014, a nice improvement over the previous year’s 1,237 units. In fact, 2014 was the third-best year yet for the GT-R. Its debut model year, 2008, saw a total of 1,730 units sold while 2009 has 1,534. By 2010 that number dipped to just 877. TTAC also noted that "over the final five months of 2014, US GT-R volume shot up 63 percent. December sales doubled to 156 units. August volume, at 208 units, was the best month for the GT-R since November 2008." The article also pointed that "for every GT-R sold by Nissan USA, Porsche sells more than seven 911s." Still, the GT-R almost outsold the Dodge Viper and Audi R8 last year combined. That’s very impressive considering the GT-R is seven years old and its six-figure price tag. All told, US GT-R sales are quickly approaching 10,000 units. 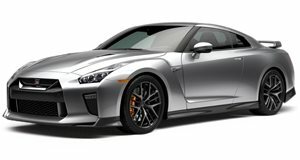 With this recent sales upswing, it’s no wonder Nissan is in no immediate rush to launch the next GT-R. The existing one is hanging in there just fine.